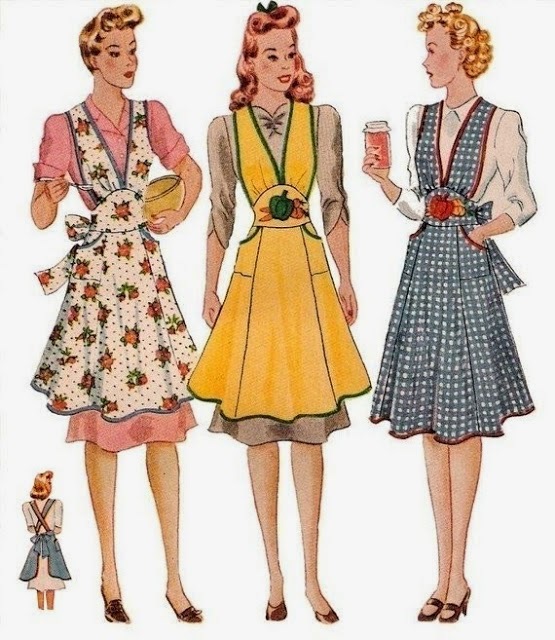 The apron or pinny was traditionally looked upon as an essential part for any house wife at home doing housework or in the kitchen. When the cheaper clothes and washing machines became popular then the apron became less needed somehow in the home. But the pinny is enjoying a renaissance as a retro chic fashion accessory again! There are several types some that just tie around the waist and those that cover the body. When going to vintage fairs, I find that a great deal of stall holders are in them and it looks lovely. I remember my nana always in an apron. She had one for baking in the kitchen and one that she wore when she was cleaning. The cleaning apron was not as ornate as the baking one but it is a very fond memory I have of her in her pretty pink and frilly apron..... it also meant to me, as a child, that something good was going to come out of the range!! I have a couple of pinny's and often wear one of them when cooking. I remember my granny always wore one too and had one for cleaning and one for best! Designing in the sun..... Treasures of the sea. All the fun of the vintage fair! 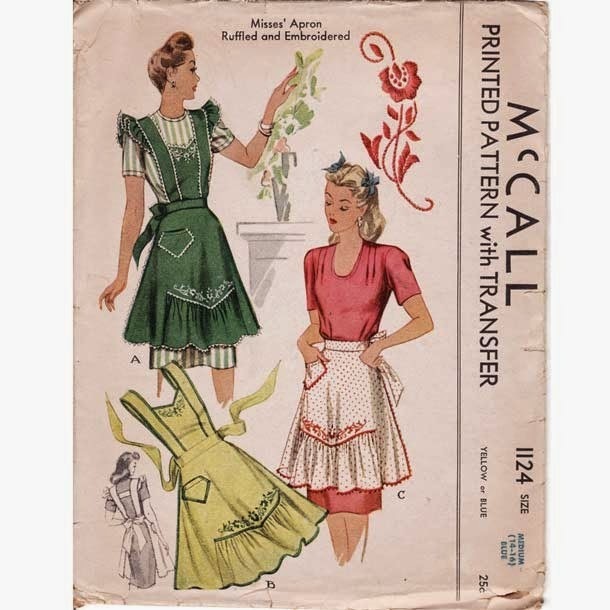 A summer of vintage fairs and stitching! Like delicate lace so vintage threads intertwine! Sea design.. When the ocean kisses the shoreline!